→How To Travel With a Dog On An Airplane? 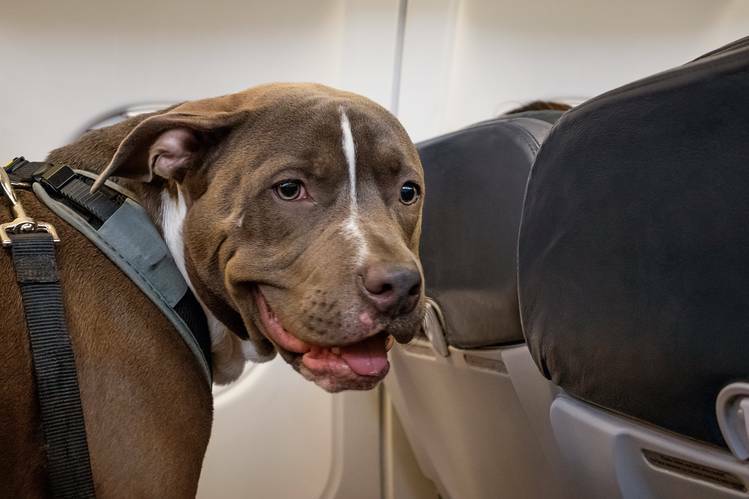 Traveling along with your pet is not something new but due to strict laws and regulations, it is now becoming difficult for some pet owners to take their pets along with them especially when you are traveling in an airplane. 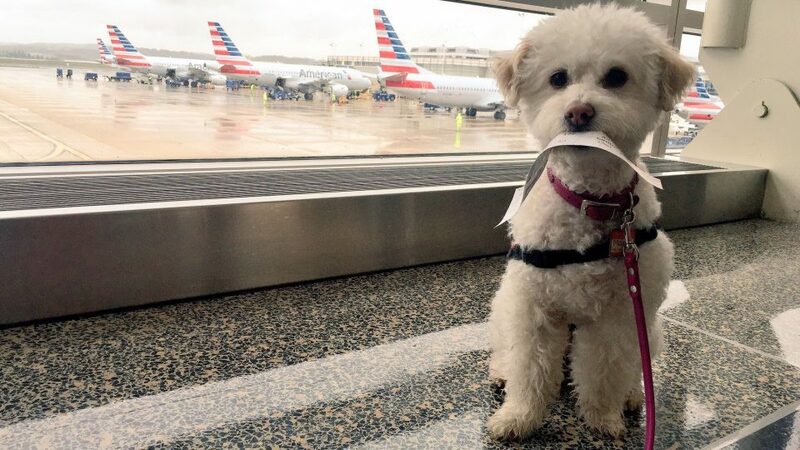 Every airline has its own policy regarding travel with your dog. So it is very important for you as a dog owner that you prepare for the journey in advance if you want to take your dog along with you. There are not many hard and fast rules which makes it difficult for you to travel with your dog. Today, the accessories for dogs are available in the market which can make all the process to prepare yourself for the airplane very easy. So, all you have to do is to prepare the right things. If you have never traveled with your dog before, then this article can help you a lot because following I am sharing some very helpful tips which will help you to prepare to take your dog in an airplane and make them all whole experience pleasant for you and your dog. The size of your dog is very important. If you have a large breed dog, then it could become difficult for you to travel along with your dog. The airlines have a strict rule regarding this issue. To ease this problem, purchase the right size of pet carriers which is also approved by the airline and easily fit underneath the seat in front of you. Dog love to travel but traveling in an airline and specifically in a carrier could be difficult for them. For this, your dog must have the right temperament to fly. For this, you need to work on his training. There are resorts available where you can leave your dog to make him ready to stay calm during the traveling by airplane. There are sleeping pills available for the dogs to whom you want to put on sleep while they are traveling. These pills are ideal because this eases all the issue as the dog stay sleepy and sleep all the time. These pills are approved by the vet and can be purchased easily from a pharmacy without any prescription. Something a small item looks un-useful but in the end, these are the things which you required when you are traveling. Make sure to make a small carrier where you can put all the necessities. This could be anything like dog’s toys to the favorite food, medicines, supplements, and cloth etc. Traveling with a dog may cost you money. Every airplane has its own policy, some charge the full price of a seat while other not. To ease from this problem, you must know about any tax and related expenses in advance. Budget your trip according to these costs which are not usually up from $100.